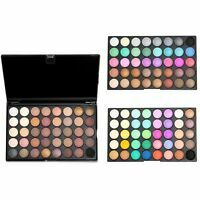 msqcosmetics has no other items for sale. Too Faced Sweet Peach Glow Highlighter Illuminator Palette Makeup Cosmetic New. 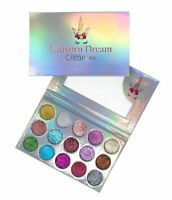 We're appreciated for your feedback and detailed seller rating on item as described,communication,shipping time,and shipping and handling charge.whenever you have any problem with the item you received,please do not hesitate to message us work it out for you.We always care about customers and make all effort to meet customer's satisfaction. If for any reason you are not completely satisfied,you may return your order within 30 days from the date of receipt. Only store credit is issued for return! Excellent seller, very fast shipping. I love these brushes! You are good seller, thank you. Hi this page wrote I can get my item before 5th September. But i didnt get yet. 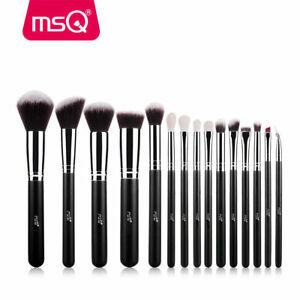 I love my brushes, thank you MSQ! I'm so surprised, I didn't expect them yet. To Europe in 12 days, that's fast! Only bag has that weird smell, brushes don't and are properly packed. 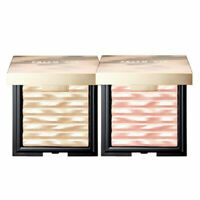 I didn't use them yet but I can tell they are soft and fluffy, kabuki one is dense and I think it will work very well. I didn't see any hair fall out even after I was pulling them out with my hand to see how good they are holding on. :) Great and professional looking brushes for such a price, you can not make a mistake by purchasing them. These brushes are honestly not worth the price given how much they are selling for on EBAY. it's a lot of brushes but many of the SAME brushes. I bought this because I was also looking for small round brushes for the eye and crease area but all of them are flat. Not even one is round so I'm disappointed. These brushes are super soft and I didn't expect them to be as nice considering the price. The only reason I give 4 stars instead of 5 is because the bag they arrive in has the WORST chemical smell and it is extremely overpowering. The brushes had that smell too, but I think it was from the bag because they weren't nearly as potent as the bag. After washing the brushes the smell came off and I just threw the bag in the garbage. Overall I like the brushes, just be aware of the horrendous smell of the bag! Again I repeat best brushes ever! They're very soft and fluffy. 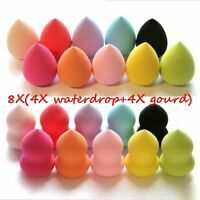 The blending brushes are amazing! They all do they're job amazingly! In love with these brushes! Quality is excellent! I truly recommend these brushes. Oh and super fast delivery! The bag does have a funky smell but other then that everything is perfect, it even came in with a little diamond shaped sponge! These brushes are top quality, you may want to use a brush cleaner first and let them dry, they do have a strong odor when you first open them. Probably from the material of the bag they’re in. Def worth it though! Buy them!